Ok, I swear I'm not a Disney downer....I promise this! I have lots of complimentary things to say about the parks and the resort as a whole. Matter of fact, I had a whole other positive topic in mind to talk about for this week's post, that I will post next week, barring anything else that strikes my fancy to talk about instead, much like happened with this topic. What am I talking about? I'm talking about an experience a friend of mine had with her recent Disney stay. Not only did she have to deal with bugs in beds TWICE but she also had to deal with construction noise and a smoky room. It was a vacationer's worst nightmare. Now, I find this whole thing reprehensible, but that's not exactly the topic I am here to discuss. Instead the topic I'm here to discuss is that people shouldn't feel ashamed when they have a complaint about something related to Disney. I get it. It can be hard and scary for Disney fans to be critical of a place we love. While I can understand the fact that it can be disheartening to have a bad experience and be forced to write about it, no one should ever be afraid to write a critical letter to any company, let alone one we all care about deeply...Disney...to address issues that are less than magical. I have to say, personally, if you have a problem with any aspect of your vacation, make sure you let Disney know about it! If you don't, they may never know it is something that needs to be fixed. Also, I suggest if it's something that needs to be addressed immediately, do so then and there but also make sure to send a letter addressing the same problem. For example, there was someone I know who found chicken feathers still attached to his fried chicken at 50s Prime Time after he'd eaten it. This person didn't complain until he got home AND he paid for the meal originally! Disney, luckily, gave him his money back for that instance. If it were me though, I would have made sure to let them know at that time that I was dissatisfied and written a letter as well. No one should have to eat something with FEATHERS STILL ATTACHED!!! Keep in mind, a letter doesn't always have to be a complaint letter. If something happens where Disney goes above and beyond, please make sure to send a letter addressing that as well. Sometimes that's the only way Disney learns about which Cast Members really are doing extraordinary things. Those letters are big deals to Cast Members, so please make sure to send them. So, what are my tips for sending letters to Disney. First of all, if you can, don't send an email. Disney takes emails a lot less seriously than a letter that is either typed out or hand-written and mailed. They know that those types of letters take more time, where as an email can be fired off quickly in the heat of the moment, which isn't always a rational time for people. So, snail mail is the best way to go. Second address the issue to people in charge if you can, not just guest relations. My letter about the Adventurer's Club was sent to Bob Iger himself. (Now he didn't call...someone else did...but I still wanted to make sure my letter was sent to a higher channel). Finally, make sure you are sending a well thought out letter. Make sure to check your grammar and spelling. These things sound so simple, but it's something that many neglect and can make your letter seem less important and taken less seriously. As I've said, I hope no one feels scared to send a less than flattering letter to the Disney Company. They have every right to know when we aren't satisfied with the service they are delivering us. My biggest tip though, is don't expect them to give you something just because you had a bad experience. That should never be the motivation behind sending a letter. 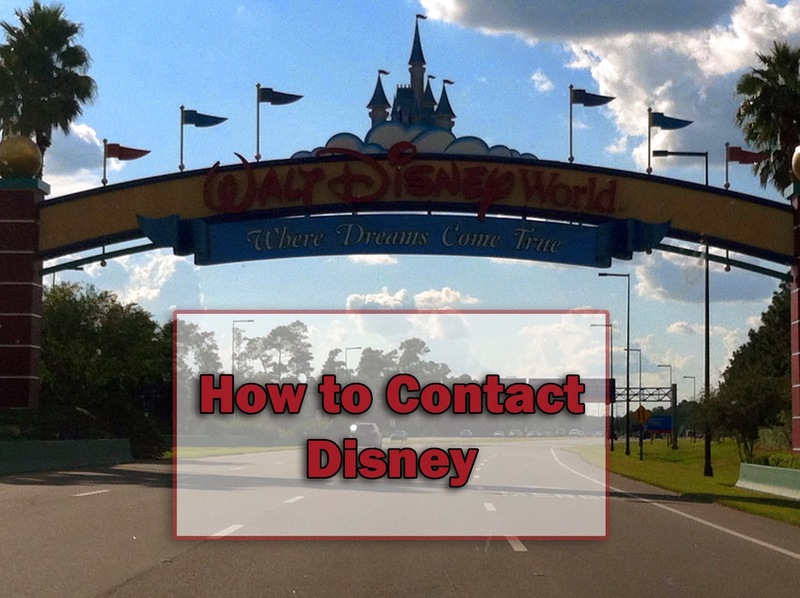 Instead you should send a complaint letter because you want the issue resolved, so others are able to have a magical experience, even though your experience may have been a little less than magical. Have you ever had an experience where you sent a letter, either good or bad? What was the issue about? And did Disney respond? I'm curious to know about other people's experiences. Well said! I don't really have a fear of sounding negative or of complaining, because I don't get that way very often with Disney, because usually there's no need for it! But of course issues need to be addressed. I think ideally there should be a happy medium between, say, Pete from TheDISunplugged, who borders on pessimism, and sugar-coating Disney. I think Katie handled herself well (she was much more gracious than I'd have been under the circumstances). How sad, sorry for Katie. Great post, Rikki. I've written two letters to WDW. The first was to praise a Cast Member who was exceptional and the second was a complaint. I received a call back on each of them which I thought was great. I hesitated to write the complaint letter but figured it was countered by my previous praise letter - LOL. But seriously, I agree that we should let WDW know when something isn't right or up to Disney standards. And I think it's great to write a letter noting all the exceptional things that happen as well. Hi Rikki! Well put. Our favorite place is Wilderness Lodge. From the first to last, every day we stay there is enjoyable, and most of the time, magical. Only once was my wife disappointed with a level of service that was lower than we had grown accustomed to -- probably due to inexperienced cast members. We addressed the Lodge's manager in the lobby, and he was more than open to discuss the matter and with her and resolve it with grace and a smile. I'm glad to hear that your complaint was addresses in a positive way! It's always a pain when a vacay doesn't go as expected, but nice when it can be righted. Thank you so much for your post! I just finished composing a letter to send to WDW communications about a less than "magical" vacation experience. I was feeling guilty. However I feel as many, we want "our" Disney to remain as magical and perfect as we remember. Mostly we have confidence that more than likely they really want the same for us! I will post my letter tomorrow. Thanks again!